Find a new Dodge Journey at your local Anchorage, AK Dodge dealership. 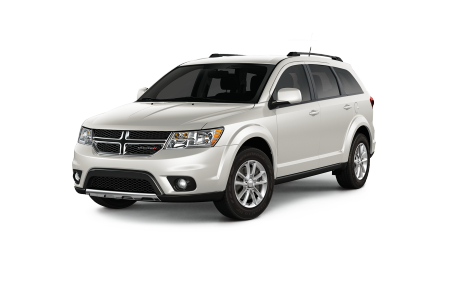 View NEW Dodge Journey Inventory	Looking for a USED Dodge Journey? Overview The Dodge Journey is everything you're looking for in a mid-size crossover SUV. Anchorage Chrysler Dodge Jeep Ram Center of Anchorage, Alaska has a full inventory of cars, trucks, and SUVs available at competitive prices, including the versatile Dodge Journey. With ample cargo room for a grocery run or for the whole team's gear, plus innovative rear seat storage for all the kids' stuff. A clean, modern interior and easy-to-use entertainment features keep everyone in the family happy. Visit our Anchorage, AK Dodge dealership today and get behind the wheel for a test drive. Why Us? At Anchorage Chrysler Dodge Jeep Ram of Anchorage, AK, we put our customers first. Our dedicated team of automotive professionals will help you find the perfect vehicle for your lifestyle and budget. Wondering whether to buy or lease? Our auto finance department will talk you through your options. Come in for a test drive and discover the power that Dodge vehicles have to offer. We look forward to meeting you! Our auto service center is the source for genuine Mopar parts, along with certified technicians who know what you need and how to install it. Maintenance and repair are easy to schedule, and take advantage of the added convenience of our shuttle and rental service. Use our Express Lane Program and fly through your next oil change, battery check, tire rotation, and more. Don't forget to check out our service coupons for more ways to save. Schedule an auto service appointment today!